Let your mom know how much she means to you this Mother's Day. Do something particularly thoughtful and surprising for your mom when Mother's Day rolls around. Find just the right e-card to show her how much she means to you. If sending an electronic greeting card does not seem particularly thoughtful or surprising, you haven't seen all the great cards available on the web. Whether you and your mom prefer traditional, vintage, modern, spiritual, or outrageous cards, you can find one perfect for her. 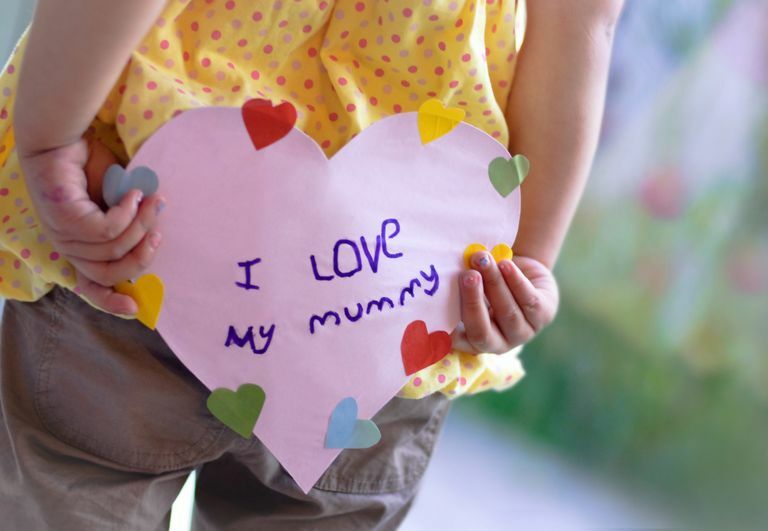 Here is a list of the 25 best websites for sending electronic Mother's Day cards, both free and paid. Create a wonderful flower bouquet or whisk mom away for a tropical treat. Jacquie Lawson offers fantastically detailed and animated Mother's Day e-cards filled with English-countryside charm. Celebrate mom with a beautiful creation that shows how truly special she is to you. The lovely Mother's Day cards from Ojolie Cards are feasts for the eyes. Any card you choose sends a powerful message of love. Punchbowl Mother's Day eCards. Punchbowl, Inc.
Punchbowl's Mother's Day greeting e-cards are designed to look and work like physical cards. These Mother's Day cards are also gorgeous and downright sweet. Customize your card with envelope liners, custom postage, and rubber stamps—all electronic, of course. AmericanGreetings.com Mother's Day Ecards. AGCM, Inc. It pays to be a paying member of AmericanGreetings.com: A huge collection of high-quality greeting cards for moms and Mother's Day awaits you. These cards are perfect for celebrating your mom or any special mother in your life. Paperless Post is home to delicate and lovely e-cards for mom. You can design one and schedule the delivery well in advance to show her that all her nagging paid off; you're finally a responsible adult. This may not be the largest collection of e-cards online, but its hard to beat Hallmark in the greeting card field. You'll have no trouble finding a suitable message of love and appreciation for your mom. Someecards.com Mother's Day Cards. someecards, Inc. If you think your mom would like a card with attitude, you're in the right place at Someecards.com. Enjoy these tongue-in-cheek e-greetings that combine love with honest humor. Paying members can choose from one of the biggest and best collections of Mother's Day greeting cards. The poetry cards come with great illustrations, but there are lots of funny cards too, and cards with flowers, talking animals, fun music, and animations. If you mom enjoys irreverence, she'll love receiving a JibJab Mother's Day card personalized by you for her. The only thing difficult about this is choosing which of the clever card formats to send. DaySpring offers delightfully crafted Christian Mother's Day greeting e-cards. Most contain a scripture appropriate for the day and your love for your mother. Mother's Day greetings at Katie's Cards evoke a peaceful and beautiful day. From fun to sentimental, you're bound to find a card or your mom to let her know what she means to you. Music accompanies all the e-cards. With a BirthdayAlarm.com Mother's Day card, you can have mom pick her favorite flower for the greeting, include a photo of the two of you together and enjoy other modern card designs—all to show your love for her and all she's done for you. Select from hundreds of Mother's Day e-card designs at 123 Greetings. Demonstrate to your mom that you appreciate the quiet influence she has on you. Let her know you love and care with one of these charming e-cards. Bloompetals is a small site with charming animations. Although it has only one Mother's Day card, it is a lovely animated e-card that delivers a flowery and irresistible Mother's Day message of your choosing. Not only can you choose from and send humorous or peaceful Mother's Day e-cards at Care2, you can also support the environment when you do. Care2 donates part of its revenue to environmental organizations. The GreetingSpring Mother's Day cards are an eclectic mix of irreverent and lovely nature-inspired cards. Distinctive artwork sets these cards apart from other e-cards. The Mother's Day e-cards at Rubber Chicken live up to the name of the company—they are quirky. If your mom loves a good laugh, this is the site for you. HiGreetings.com Mother's Day cards deliver lovely greetings to the woman who has been there for you every day since you were born. Tell mom how much you appreciate her with one of these greeting cards. The joy in CowrieCards' Mother's Day e-cards is expressed largely in images of mothers and their children. Eye-catching photography sets these cards apart from other those at other sites. Show your mom how special she is to you. They're simple, but they're decidedly sweet and a lot of fun. These Mother's Day e-cards come from the original E-Cards.com. The website's experience in the e-card field shines through in the charming card selection. At TIAS.com, sort through a wide assortment of vintage images from Mother's Day in olden times. Each card is beautifully rendered and charmingly retro. There are almost too many cards at ATMgreetings.com to look at them all. Pick your favorite from any category to show your mom that you appreciate and love her. This site also has cards for stepmothers, aunts, grandmothers, and adoptive mothers. Mother's Day greeting e-cards at DoozyCards.com are a mixture of beautifully photographed images and hilarious animations with musical accompaniment. You'll find something here you mom will love. Full of flowers and charm in their own way, the Mother's Day e-cards at DeepestFeelings.com are ready to deliver your greeting to your mom or to any relative or friend who is a mom. Celebrate mom with one of CrossCards beautifully drawn e-cards—many of which contain scriptures. The clean designs that lean heavily or floral motifs are modern looking and thought-provoking.